NEPALGUNJ, June 24: With four major political parties competing in Nepalgunj Sub-metropolitan City for the June 28 local elections, the poll outcome will be decided by how the vote divides up among three different communities--Madhesi, Muslim and Hill folks. Local analysts say the party that best manages to adjust to all three communities during the election campaign will secure victory. According to the census of 2011, the populations of the three aforementioned communities are about similar in the city. The Madhesi population accounts for 31.92 percent followed by Muslims with 28.61 and the hill community with 28.27 percent. 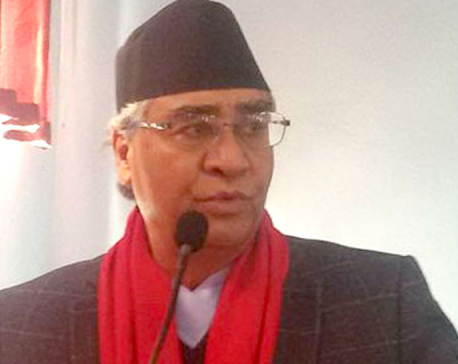 “Since voters in Nepalgunj seem less committed to any particular political party, the election results could be easily swayed by any party that wins the confidence of any one of the three communities,” said political analyst Janardan Acharya. Political pundits say that while the Nepali Congress (NC), CPN-UML, CPN (Maoist Center) and Rastriya Prajatantra Party are the big competitors, the Federal Socialist Forum Nepal (FSFN), which is believed to be fifth largest, could affect the overall outcome. In past elections, the Muslim community used to be the decisive factor in this city. But analysts predict that the Muslim vote could be divided between UML and FSFN. Both parties have put forth mayoral candidates from that community. UML has fielded Samsuddhin Siddiqui and Kamaruddin Ray is the FSFN's man. Both are believed to be influential. Supporters of Kamaruddin claim that he can tap the vote in Muslim majority Jayaspur, Bhawaniyapur and Hirminiya while UML"s Samasuddhin is a local of another Muslim-strong area, Tribhuvan-Eklauni. “The Muslim vote mostly used to be monolithic in past elections. But it could be divided this time as both candidates are from the same community,” said Ganesh Regmi,. a professor at Mahendra Multiple College. Samasuddhin is a former mayor and a lawmaker candidate in the 2013 elections. Kamaruddhin is district chairman of his party. “Most people have become more politically aware compared to the past. I believe they will vote mostly on party lines,” said Muslim community leader Mustafa Asahan. The hill community's vote is also expected to be divided, between RPP's mayoral candidate Dhawal SJB Rana, who is a former mayor, and Maoist Center"s Damodar Acharya, who is considered to be influential. Local analysts say the hill community is always divided because of differing political loyalties. “The hill community represents the status quo and is not decisive in polls,” said journalist Tula Adhikari. Former mayor Rana has contested four elections in the past from different political parties and has emerged victorious because of his large personal following in the city. NC's Suresh Kumar Kanodya is the sole major-party candidate from the Madhesi community. This community has emerged as the largest after 11 village development communities were merged into the sub-metropolitan city. “We cannot predict if Madhesi voters will be swayed one way or another at the last hour. 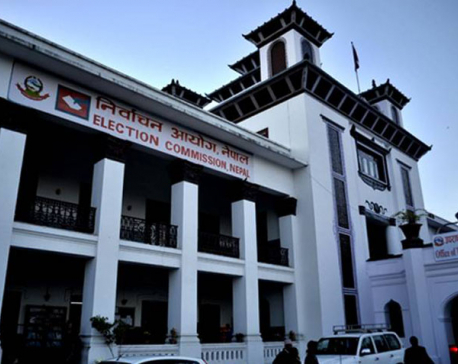 But NC"s candidate is in a favorable situation as the other major parties have not fielded a candidate from the largest community,” said political analyst Acharya. Since the Rastriya Janata Party Nepal is boycotting the local polls, all major parties have been eyeing its supporters. Many believe that senior leaders of the party would instruct party cadres to vote for a particular candidate at the eleventh hour. Prof. Regmi said NC's Kanodia can lure RJPN"s local leader Bijay Gupta, banking on their longtime friendship. Gupta is also legal advisor to Kanodia's medical college. However, Pashupati Dayal Mishra is also an influential RJPN leader in the area and he could play a decisive role. A local RJPN cadre said they might vote as the party's local leaders tell them to.